Does your organization measure the impact of respectful and inclusive workplace policies and processes segmented according to the different genders, backgrounds and circumstances of all workers? The BuildForce Canada Respectful Workplace Online Self-Assessment Tool identifies "continuous Improvement" as essential to creating and sustaining a respectful and inclusive workplace. Measuring the impact of respectful and inclusive workplace programs and policies segmented by different genders, backgrounds and circumstances ensures that organizations have an accurate picture of the success/failure of their efforts to create a respectful and inclusive workplace for everyone. There are four related activities that should be conducted annually to achieve continuous improvement. This includes workforce information gathered from personnel files or from anonymous surveys about the demographics of your workforce or the number of harassment complaints, etc. The information gathered will indicate areas of "risk" where disrespectful incidences or behaviours could occur or have been occurring. Based on the risk assessment, your organization identifies what it needs to do to reduce/eliminate the risk of disrespectful incidences or behaviours. This includes evaluating the success/failure of the actions taken in order identify gaps, and setting goals and timetables for improvement. BuildForce Canada. 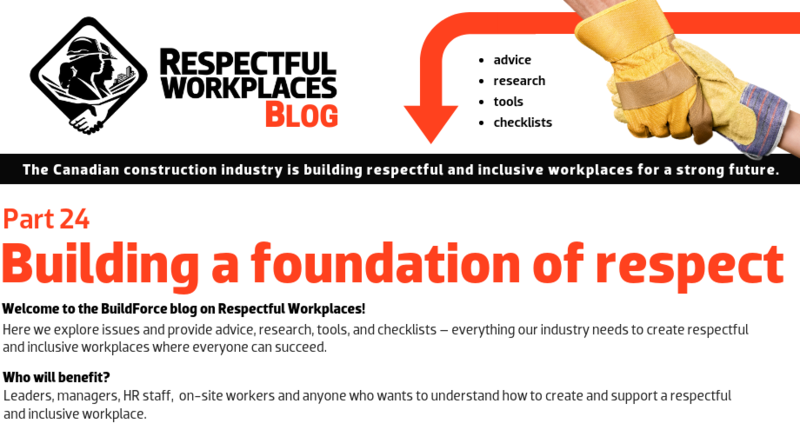 Respectful and Inclusive Workplace Toolkit. 2018. BuildForce Canada. 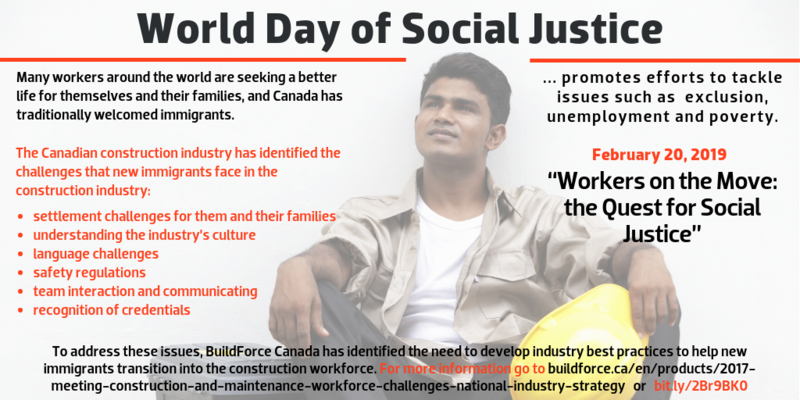 Meeting Construction and Maintenance Workforce Challenges: National Industry Strategy. 2017.